A wonderful image of rich color, nice composition, nice lighting and details, … excellent! I have been to a tulip farm here in the NW of America and it was beautiful. Although, I am sure nothing of what one would see in the Netherlands. This photo is absolutely stunning…composition, color and lighting. A treat for the eyes! Well this is a real tulip… beautiful isn\'t? 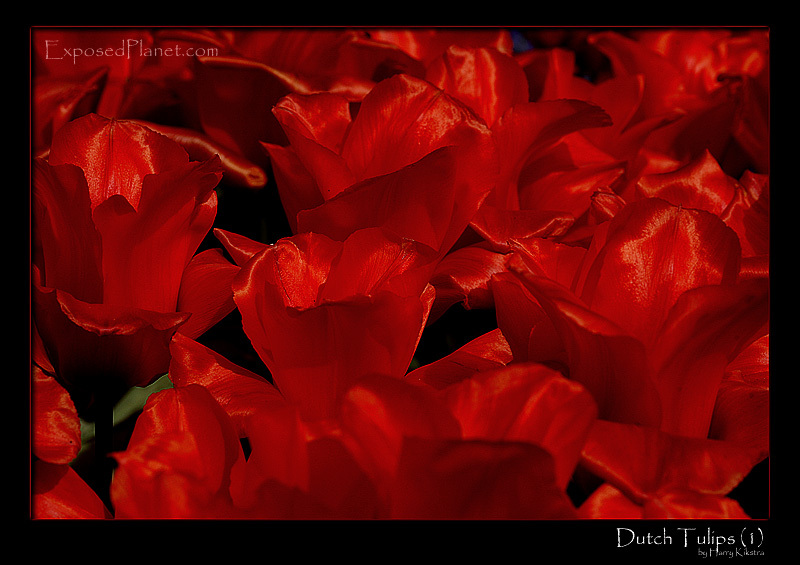 The story behind "close up of red Tulips in the Netherlands"
Though my good friend Eduardo insists that Tulips are the beautiful ladies of the Netherlands, these are the real ones. The Keukenhof is a huge collection of gardens showing all possible variations of tulips as well as some other flowers. Incredibly touristic as it is, I preferred to stay away, but I promised to show my Argentinean friend to show them, so off we went.